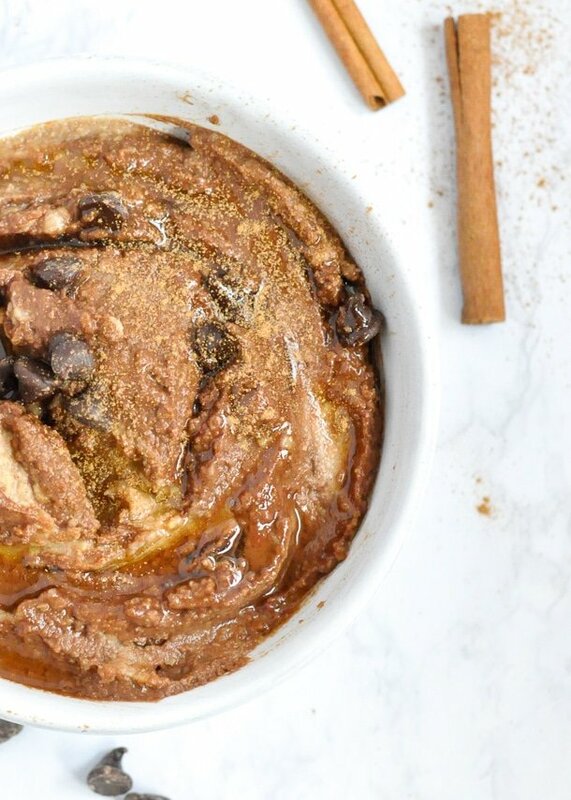 You are here: Home / Recipe / Chocolate Snickerdoodle Dessert Hummus: Two in One Recipe! 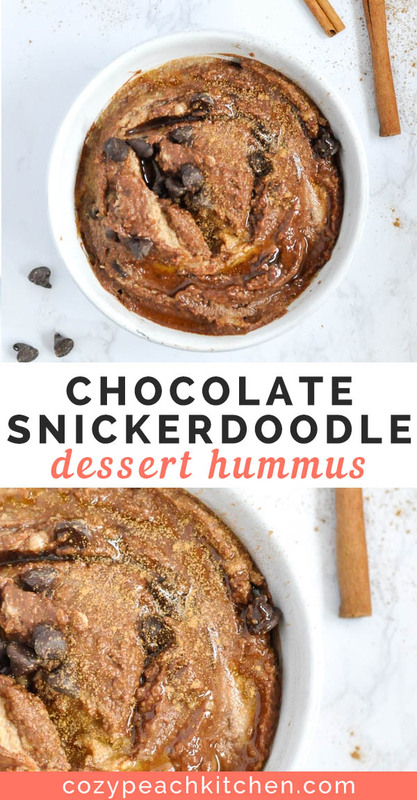 Chocolate Snickerdoodle Dessert Hummus: Two in One Recipe! 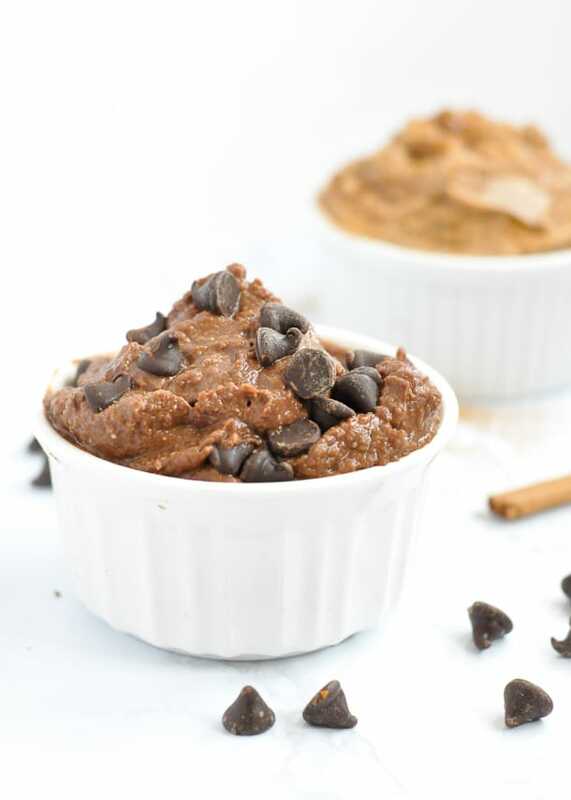 Chocolate Snickerdoodle Dessert Hummus is a healthy protein packed treat. It’s sweet enough to pass as a dessert and plant-based enough to pass as a healthy snack. I’d call that a win-win! Like most people trying dessert hummus for the first time, I was a bit quizzical about chickpeas as a dessert. But dang! I can eat this “hummus” straight out of the bowl with a spoon! It’s smooth, creamy, and so easy to make. I always enjoy bending expectations about food. Savory hummus is certainly the most popular way to eat your puréed chickpeas, but why not try something a little different? Some time back in elementary school- hold on, we’re going way back in time!- my brother had a class assignment to make a dish that he’d never heard of before. He chose hummus. I have no idea why he (but actually my mom) chose hummus, or how he (really my mom) chose the flavor, but boy did they make a strange choice. Chocolate dessert hummus is sweet, smooth, and reminiscent of brownie batter. 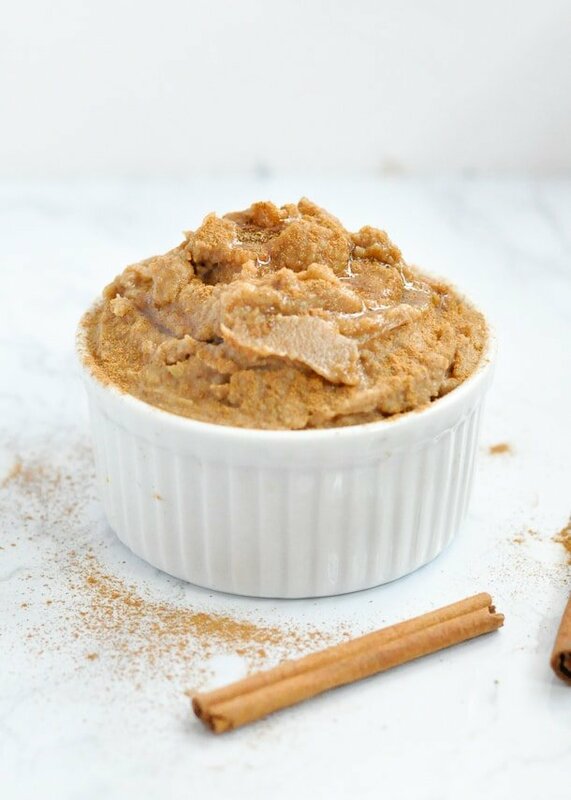 Snickerdoodle dessert hummus is full of subtle-yet-spicy cinnamon. 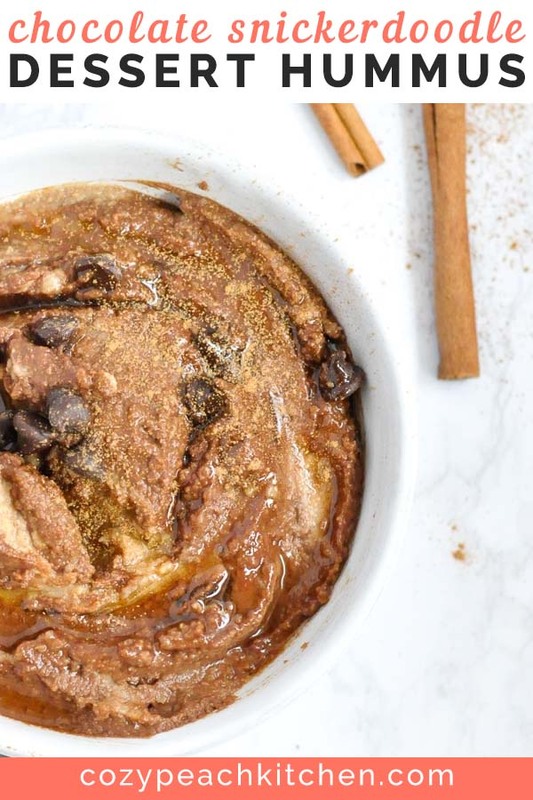 Chocolate + cinnamon are a match made in heaven! The two flavors are made separately, so you can enjoy them on their own or as chocolate snickerdoodle dessert hummus. Just blend together chickpeas, flavorings, and a little bit of milk and you’re ready for a sweet, healthy snack time. Dip your chocolate snickerdoodle hummus with strawberries, banana, or pretzels. Spread on a slice of toast or crackers. Dunk with a spoon and eat straight out of the bowl. 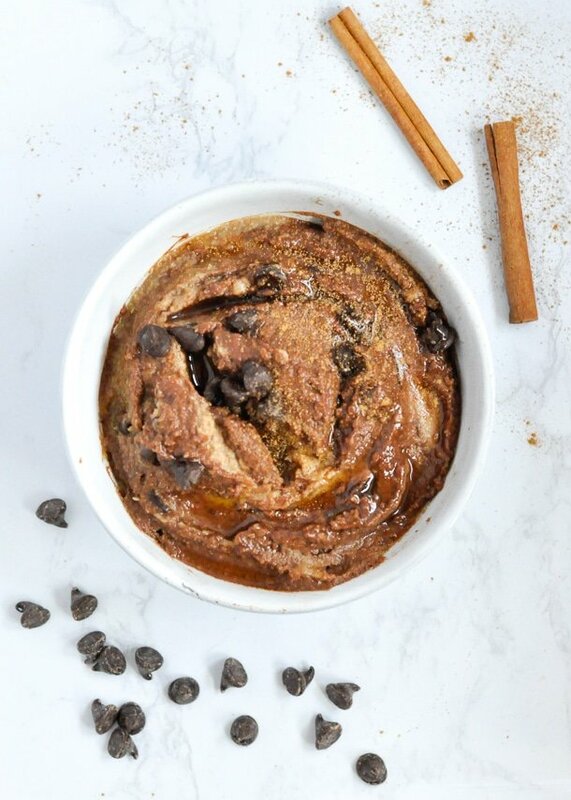 Do with dessert hummus what you would with savory hummus: enjoy it! A sweet chickpea hummus blended with chocolate and cinnamon make a creamy, spreadable dip that's perfect for strawberries, pretzels, and toast. Combine chickpeas, cocoa powder, salt, and 2 tablespoons non-dairy milk in a food processor or blender. Blend until no clumps remain and the mixture is smooth and spreadable, adding additional milk as needed. Blend in maple syrup to taste, using more for a sweeter hummus. Stir in chocolate chips. Combine chickpeas, cinnamon, salt, and 2 tablespoons non-dairy milk in a food processor or blender. Blend until no clumps remain and the mixture is smooth and spreadable, adding additional milk as needed. Blend in brown sugar to taste, using more for a sweeter hummus. 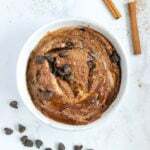 Swirl together chocolate and snickerdoodle hummus in a bowl for chocolate snickerdoodle dessert hummus, or enjoy separately. I use chickpeas cooked from dry in this recipe. If using canned chickpeas, make sure to drain and rinse the chickpeas prior to blending. Canned chickpeas may take a little more blending to break down, but otherwise work well in this recipe.